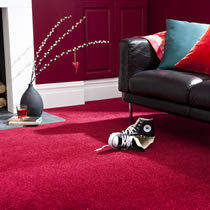 We offer a full range of carpets which are designed for different degrees of wear. These include twist, loop, velvet, patterned, berber and Saxony. The carpet piles range from fully man-made to 100% wool. 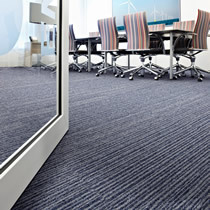 These are a useful alternative to carpet for areas subjected to heavy use. The other benefits are that they are easy to clean and individual tiles can be replaced. Laminate is extremely popular as it is very hardwearing, easy to clean, won’t fade and is more cost-effective than hardwood floor. 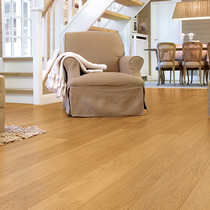 There are two types of wood flooring: solid and engineered. Both can be factory finished or unfinished. 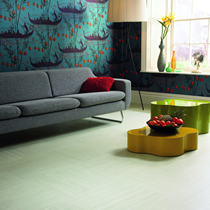 ‘LVT’ – Luxury Vinyl Tiles are the most versatile, durable and custom designed floor coverings available. They usually come in two formats: tile effect or plank effect. Cushion vinyl flooring has many advantages as it is warm, durable and easy to maintain. It comes in four different widths and an endless variety of designs. 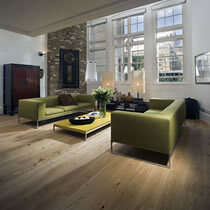 Safety vinyl flooring can be slip resistant and is less likely to harbour bacteria. It is highly durable for years in areas that are regularly wet, such as commercial kitchens or wetrooms.